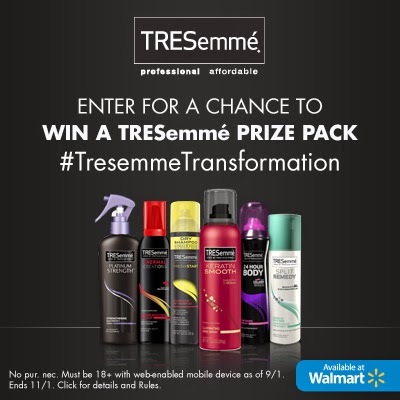 This post is sponsored by Global Influence Network on behalf of Tresemme. Ever since I purchased this utility vest, I feel like my sense of style has gotten a little more edgy. This includes my overall look, too. i’ve been rocking a smokey eye more often and transform my hair from wearing it in its usual style. Typically, I either leave it down straight or use hot curlers to give it lots of volume and curl. Lately, I’ve been keeping the volume, but wearing my hair in a ponytail that parallels popular hairstyles on the red carpet. After showering, I use Tresemme’s Split End Remedy on my hair to ensure it remains healthy. No one likes hair full of split ends! 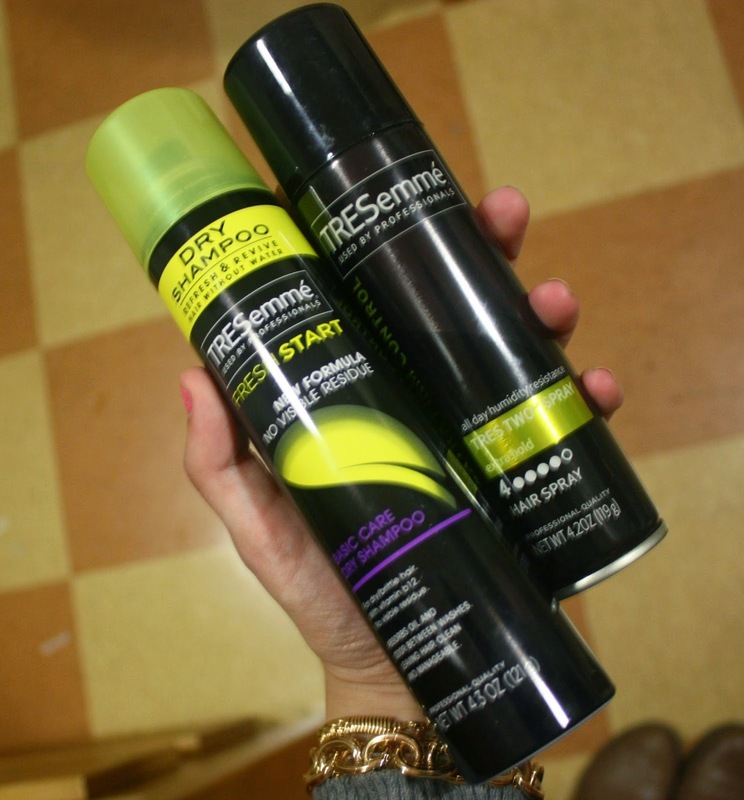 Once my hair is dry, I use Tresemme’s Dry Shampoo and Hairspray to create my new ‘do. Step 1: Separate the top portion of your hair from the bottom portion. Put the bottom portion in a ponytail that sits on the crown of your head. Step 2: Take small1″ sections of the top portion and spray the roots with Tresemme’s Dry Shampoo. Use a teasing comb to tease your hair. Do this to the entire top portion of your hair. Don’t know how to tease your hair? Check out Ashley’s tutorial! 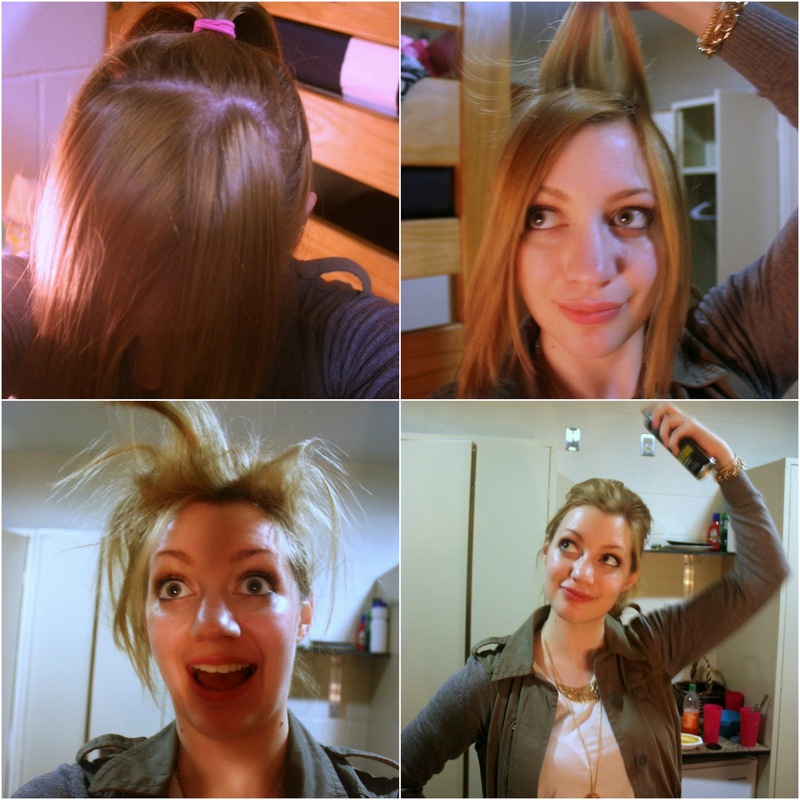 Step 3: Look cray cray! Step 4: Smooth hair back towards the ponytail. Secure hair with bobby pins and spray with Tresemme Hairspray. You can also wrap the tail around the base of the ponytail to cover the holder. 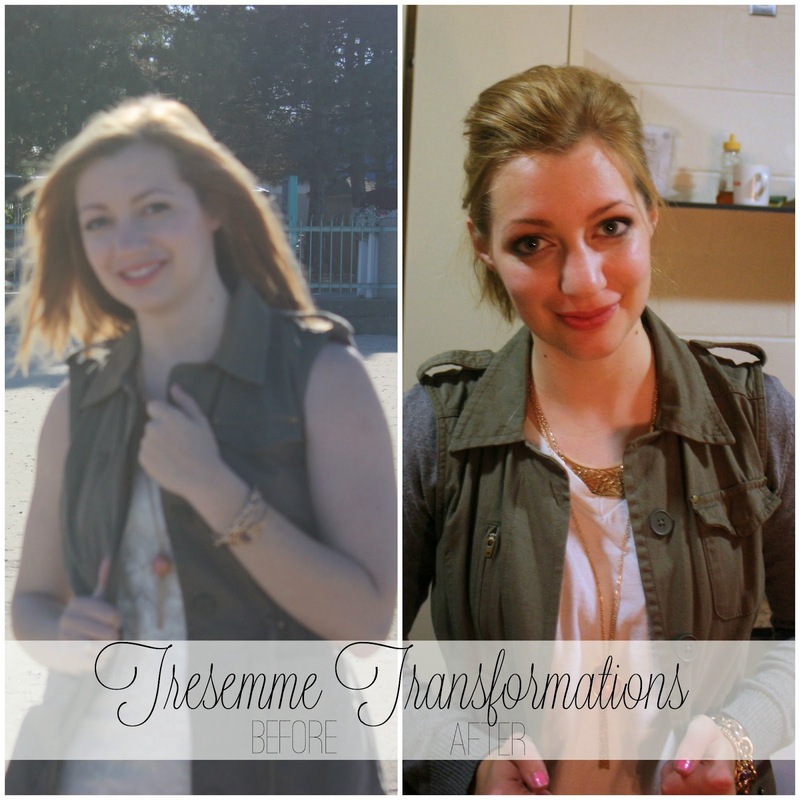 How do you transform your hairstyle?